I love helping people; its an amazing feeling having a positive impact and helping someone change their lifestyle. The look clients give you when they reach their goals; (whether it would be weight/strength/dietary related) always brings me happiness. I personally have always been into health and fitness since I was young; surrounding myself around personal trainers. Working out; I love the atmosphere at the gym. Especially one like Primal where everyone works together and is friendly. Front Squat; though its a tough one. I love it every time. Chin Ups; still my ultimate weakness.. Ill get there though! Peanut Butter; unfortunately not the healthier type. Crunchy all the way! Primal Fitness has shown me another avenue in training. I love the community feel where all the clients are able to interact and share their experiences openly. 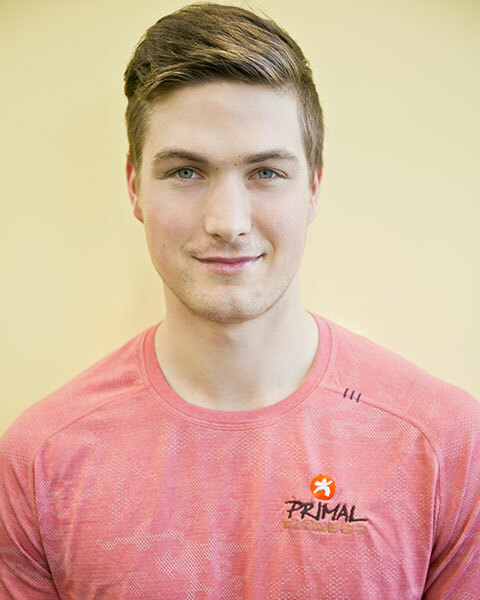 The styles and alternative training methods of Primal have opened my mind up even more and I love every session I do. There’s always new exercises and training variations to learn.